Tarrant County joins a short list of Texas counties that must provide assistance in languages other than Spanish, the U.S. Census Bureau announced Monday. Because of its growing Asian population, Tarrant County will now be required to provide election materials in Vietnamese. Joining a short list of Texas counties that must provide assistance in languages other than Spanish, Tarrant County’s population of Vietnamese-speaking adults has crossed a federal threshold that triggers additional assistance requirements for voters who are unable to speak or understand English well enough to participate in the electoral process, the U.S. Census Bureau announced on Monday. Under the new requirements, Tarrant County, the state's third-largest county, will join Harris County, the largest, in having to translate voting materials into Vietnamese and provide interpreters for Vietnamese-speaking voters. Language assistance during elections is governed by Section 203 of the Voting Rights Act, which mandates that certain jurisdictions provide language assistance during elections. Those requirements are triggered when the Census Bureau determines that a jurisdiction’s minority population meets a federal population threshold based on a formula related to languages spoken and education. The census makes those determinations every five years. The language assistance requirements are effective immediately. Representatives for the Tarrant County elections administration office did not immediately respond to a request for comment about implementation. Under federal and state law, all Texas counties are required to provide language assistance for Spanish speakers, but only a few counties provide materials to assist other language groups. With an incredibly diverse population, Harris County is under the most requirements. Election administrators there are required to provide assistance to Spanish-, Chinese- and Vietnamese-speaking voters. Along with assistance in Spanish, El Paso and Maverick counties must provide language assistance for some American Indian voters. There are 21.7 million voting-age citizens that are subject to minority language assistance in 263 jurisdictions across the country, according to new census estimates. That’s a 13.2 percent increase from 2011, when the Census Bureau last updated its list of jurisdictions required to provide assistance. 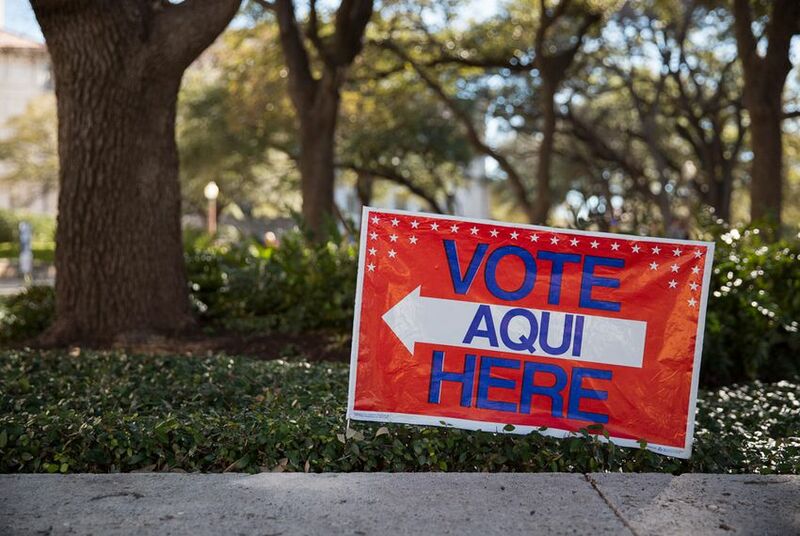 In October, a federal judge stopped Texas from enforcing an obscure election provision regarding interpreters that critics said conflicted with federal law. Hundreds of Texas high schools are likely flouting state requirements that they register eligible students to vote, new data suggests.